Editor’s note: She’s Fit to Lead is more than just leading from a career or business standpoint; it’s about becoming the ultimate version of yourself. Be the person who doesn’t just want to change the world, but who does change the world. Leading can only be done by living, so to lead the way for a better tomorrow, make sure to live the lifestyle you want future generations to replicate. One person may only leave a footprint, but that one footprint is what shows the way to a new path for an incredible life. Here’s a glimpse of one of those small steps you can make for the betterment of womankind. This is a phrase everyone is told at some point in his or her life, but what does it really mean to waste water? Isn’t water recycled through this grand process known as the water cycle that most people learn in school? How can the water waste away if, according to teachers and textbooks, it’s the same recirculated water from hundreds and thousands of years ago? Let’s get down to the numbers. According to the U.S Geologic Survey, 68 percent of the total freshwater on Earth is locked in ice and glaciers. It may seem that’s more than enough water needed to provide usable water for humans; however, most of these glaciers and ice sheets sit on top of salt water oceans. With the rise of global warming, these ice sheets and glaciers are melting and losing that fresh water to the ocean. Unfortunately, if science and technology do not come up with a cost-efficient, environmental- and marine-friendly process of converting ocean water into fresh water, that fresh water is unable to be used by people. 30 percent of the total fresh water on Earth is also in the ground, which is, fortunately, accessible and used in fields, such as agriculture. However, while this water is replenished through the water cycle, the cycle is an extremely slow process, as it can take hundreds or even thousands of years for the used water to return to its original ground source. Not only that, but storing this fresh water is becoming a struggle, as well. According to a 2003 report from the Government Accountability Office, the holding capacity of existing reservoirs in the United States may be declining due to aging dams and increased sedimentation. The rest of the Earth’s fresh water comes from lakes, rivers and other bodies of fresh water. Although all the states in the U.S have some fresh water sources to draw from, the used water is not always returned to the same place. Fresh water that is used to water lawns, for example, will evaporate into the atmosphere, and those who live in an area that does not receive a lot of precipitation, then that water used is not returned back to that same area. Also, while the water that goes down the drains of sinks, toilets and showers may circulate through local systems and is quickly recycled from a watershed, this water is not restricted to solely one place, as it is also used for neighboring cities and agricultural sites, as well. 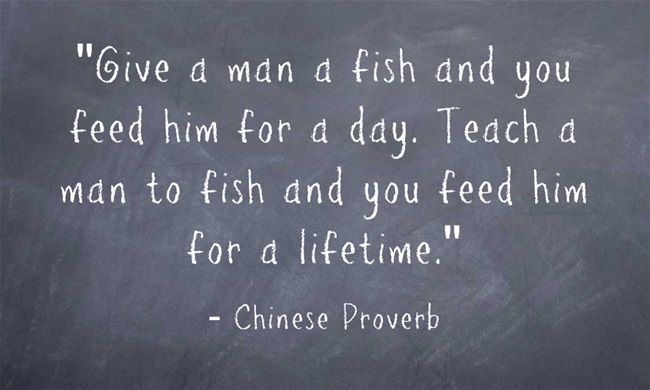 There is a saying that goes something like, “Give someone a fish and he or she is full for an hour, but teach that person how to fish and he or she will be full his or her whole life,” and the moral behind this phrase is applicable to resource conservation, as well. With this new information on what it means to waste water, people can be even more motivated to conserve. One shouldn’t be afraid to spread the word either because it’s no secret that it’s going to take more than a few people to help preserve the Earth’s essential resources needed for the human race to survive and prosper.